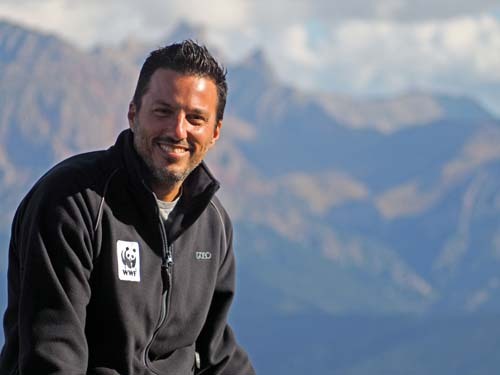 Dr. Claudio Campagna works for the Wildlife Conservation Society (WCS). He is Adjunct Professor at the Department of Ecology and Evolutionary Biology, and invited research scholar at the Department of Philosophy at UCSC. He has an MD from the University of Buenos Aires, Argentina, and a PhD in Biology from UCSC. 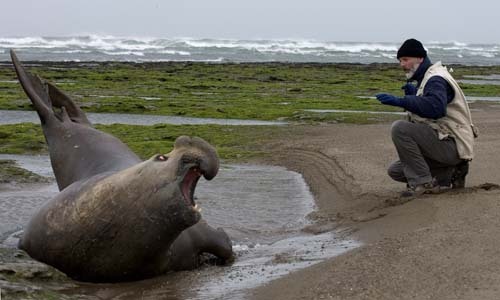 He has been a field scientist working in Patagonia since the 1980, first on the behavior of marine mammals and then on conservation. Claudio founded the Forum of NGOs for the conservation of the Patagonian Sea, and has been member of Steering Committees of many conservation organizations, such as the Species Survival Commission of the IUCN, where he is also served as co-Chair of the Marine Subcommittee. In practicing nature conservation, he realized the importance of the discourse in shaping interventions. Since then, Claudio has been attempting to bring closer to conservation practitioners insights developed by philosophers such as Ludwig Wittgenstein, Philippa Foot and Michael Thompson. He divides his efforts between reflecting on the language of conservation, a project of the UCSC Center for Public Philosophy, in collaboration with Dr. Daniel Guevara, Chair of the Philosophy Department, and creating marine parks to protect biodiversity. Naomi McIntosh has worked with NOAA since 1994. 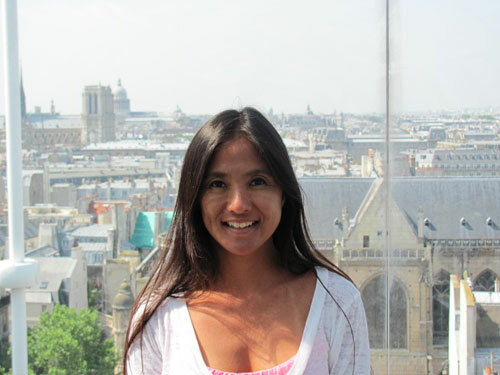 Her current position as senior programs and policy advisor is with NOAA’s Office of National Marine Sanctuaries Papahānaumokuākea Marine National Monument. Her work with NOAA focuses on addressing common and important issues to help protect important marine habitats through collaborative programs and partnerships. She is the Chair of the International Committee on Marine Mammal Protected Areas and a member of the IUCN SSC-WPCA Marine Mammal Protected Areas Task Force. In her previous positions with NOAA, she served as a senior advisor for regional and international programs and policy for NOAA’s Office of National Marine Sanctuaries Pacific Islands Region and as the Superintendent of the Hawaiian Islands Humpback Whale National Marine Sanctuary (2003 – 2010). She has experience in marine resource protection, research and monitoring, education and outreach, media relations and community engagement in marine protected area management. She has a B.A. in Psychology and a Certificate of Completion in Environmental Studies from the University of Hawaii. For more than four decades, Brad Barr has been actively engaged as a practitioner in the governmental side of marine and coastal protected areas management and preservation. He received his undergraduate and graduate degrees at the Universities of Maine and Massachusetts, and his PhD from the University of Alaska Fairbanks. For the past 11 years, he has served as Visiting Faculty at the University Center of the Westfjords in Ísafjör∂ur, Iceland, teaching courses on marine protected areas, preservation of underwater cultural heritage resources, and Arctic Ocean governance. He is also an Affiliate Professor at the University of New Hampshire School of Marine Science and Ocean Engineering, and has taught graduate courses at the World Maritime University in Malmö, Sweden. He is a member of the IUCN World Commission on Protected Areas, serves on the IUCN Marine Mammal Protected Areas Task Force, and is a founding member of the International Committee on Marine Mammal Protected Areas. 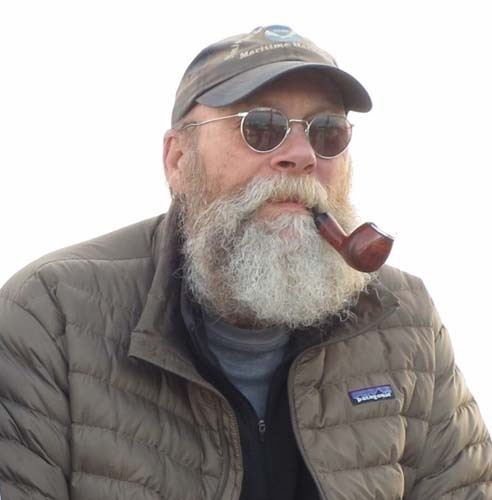 He has published extensively on research focused on marine protected areas science and management, the identification and management of ocean wilderness, and place-based whaling heritage preservation. Demetres Karavellas is a conservation leader who has worked with WWF in various posts for twenty five years. He has been active in the field and on key policy issues linked to natural resources, conservation of species and critical habitats, climate change and sustainable development, at national, regional and global level. He is the CEO of WWF Greece and is presently also chairing the WWF Mediterranean Marine Initiative, a concerted network wide effort to conserve the valuable marine and coastal ecosystems and promote a sustainable blue economy for the region. He is also a member of the SDSN Leadership Council of Greece. He holds a BSc in Marine Biology from Queen Mary University and an MSc in Fisheries Biology & Management from Bangor University. He has a passion for the sea and has explored many marine sites around the world, but feels most at home in the waters of the Aegean Sea. Giuseppe Notarbartolo di Sciara is a marine conservation ecologist with a PhD in marine biology from the Scripps Institution of Oceanography, University of California San Diego (1985). Founded in 1986 the Tethys Research Institute in Milano. Spearheaded the creation of the world’s first high-seas marine protected area, the Pelagos Sanctuary, established in 1999 by a treaty amongst Italy, France and Monaco. He has served from 1999-2004 as the Italian Commissioner at the International Whaling Commission, and from 2002-2010 as Chair of the Scientific Committee of ACCOBAMS. 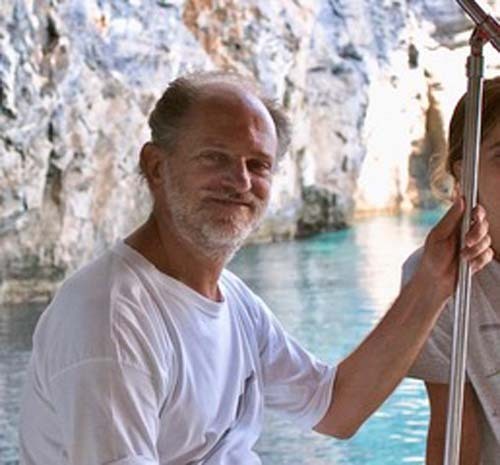 He has taught science and policy of the conservation of marine biodiversity at the University Statale of Milan from 2007 to 2016. Currently he is the CMS CoP-appointed Councillor for Aquatic Mammals (since 2014); Co-Chair of the IUCN Task Force on Marine Mammal Protected Areas (since 2013); and Deputy Chair, IUCN Cetacean Specialist Group (since 1997). For more details: www.disciara.org. Amalia has fairly recently joined the marine mammal conservation community as a young active advocate for environmental protection. She has a strong science background, while she has acquired experience in various disciplines including communications, education, field research, in situ conservation, and policy. She holds a BSc in Biology, Chemistry, Physics and Mathematics at the University of Pierre et Marie Curie, Paris IV, France, and a MSc in Marine and Coastal Environmental Management at Nicholas School of the Environment, Duke University in USA. Amalia has been close to the WWF Greece team since 2015 and today she is coordinating the 5th ICMMPA and is a member of the conference planning committee. 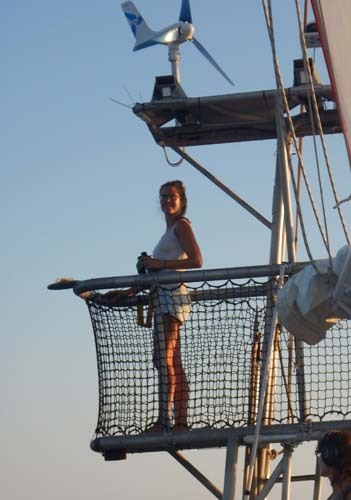 At WWF Greece, she is a member of the marine program team, specializing in cetacean conservation in Greece. She loves spending time outdoors and becomes restless in large conferences!